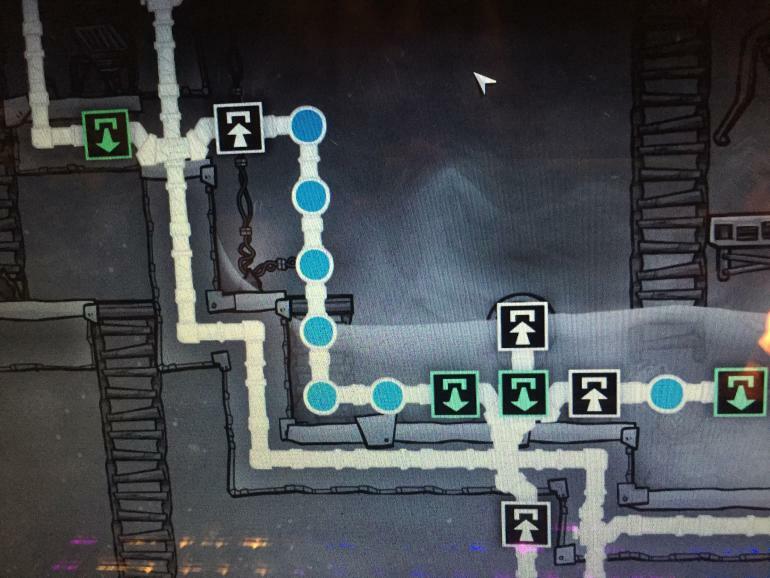 Build a pipe system with two water bridges. For the second screenshot you made a mistake. green is output. So it says that water is coming out of the liquid pump into the pipe. And you connected it to the output of the carbon skimmer. Try to connect it to the input (white) and the polluted should come out of the green outlet of the carbon skimmer. The same thing is maybe happening in the first screenshot but I can't tell because I can't see where the water should flow. 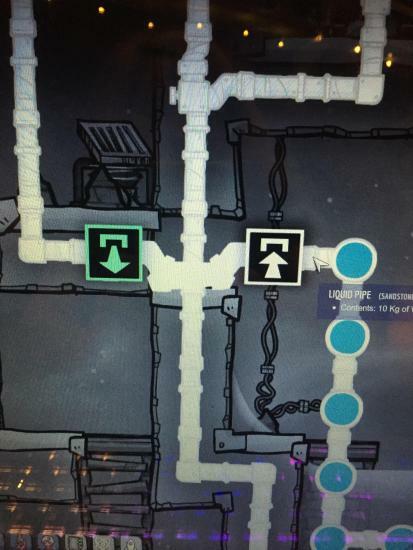 can you show me the video from Water Pump input to its end pipe? Also use the screenshot function of the game. The image will be more readable. 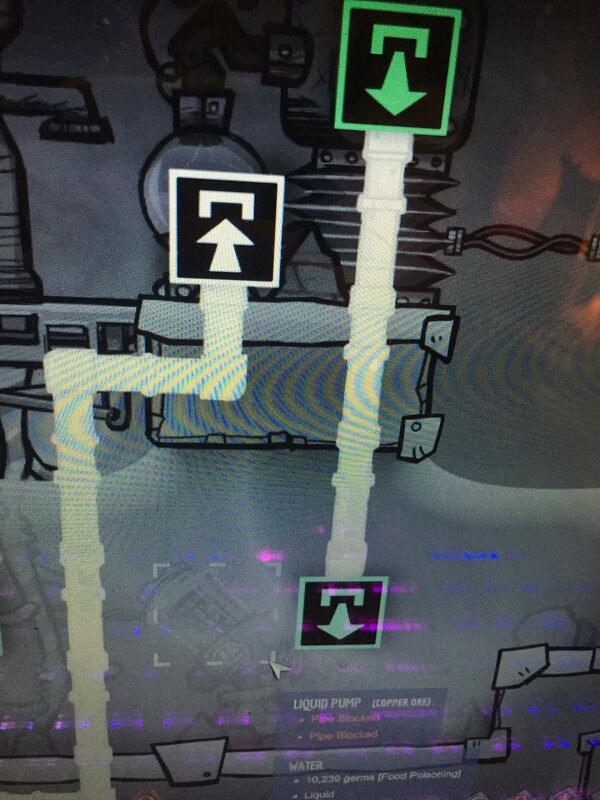 I also think you may have invert the next pipe. Are you sure the white part is on the same side than the green part of this bridge ? UPDATE: I deleted the water filter I’d been using after that bridge and hooked the pipes to my water sieve and things are working now. Still not sure what happened but glad it’s working!